R&D tax relief is government aid to support and incentivise businesses to invest in innovation. This in turn helps make UK business more competitive in the international marketplace. They work by either reducing a company’s corporation tax liability or by making a direct payment to the company. 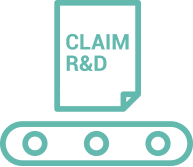 Many businesses assume they’re not eligible to claim R&D tax relief! HMRC R&D requirements are purposefully broad. Whatever size or industry your business falls under, if you’re investing time and effort into ‘resolving scientific or technological uncertainties’, then you may be eligible. This includes creating new products, processes and services or even developing and modifying existing products, processes or services. It’s also worth noting that, within the accepted HMRC research and development definition, R&D doesn’t have to have a successful outcome to qualify. R&D tax credits is an area which requires speciality. Many accountants are experts in day-to-day accountancy and tax services but may not have the required expertise or resources to provide effective R&D services. SMEs can claim up to 33% where under RDEC, companies can now claim 12% of eligible costs. How much R&D relief could you be entitled to? Use our ‘at a glance’ estimator to see how much benefit you could be entitled to. Helping you maximise on every tax-saving opportunity. 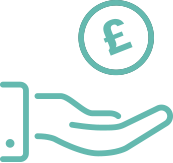 Our experienced consultants can help you to claim what’s entitled to you. 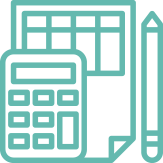 We’ll identify if your company is eligible to claim Research and Development Tax Credits and manage the claim from start to finish, advising you throughout the process. We also offer a ‘no win, no fee’ policy covering R&D claims, to give you added peace of mind. Your ByzPulse consultant will ask specific questions about the journey of any given project development, to help identify areas of eligibility. As this can be a complex process, to help us fully understand your activity, we may need to ask a number of follow-up questions. 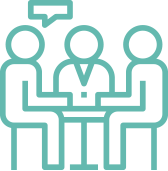 We have streamlined this process to ensure input from directors is kept to an absolute minimum and let you choose your preferred means of communication, be it email, phone or even a face-to-face meeting. Our tried and tested process has proven to identify all possible eligible costs and optimise claims for our clients. How long does the R&D tax relief process typically take? Once we have received the required information, we can prepare and submit the claim between 2-4 weeks. HMRC usually take up to 8 weeks to process the claim. No. Once the claim is approved, we take our fee from the HMRC tax benefit received. Is there anything else you offer as part of R&D tax credit claim? As Tax Specialists, we would make recommendations to maximise your claim but also look at any future opportunities available to you.